1. 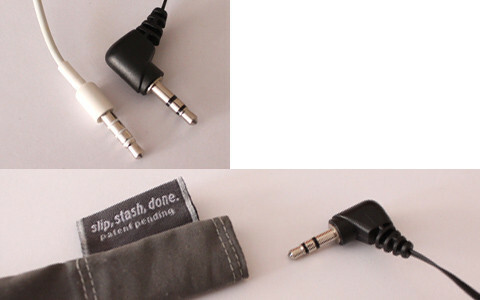 Will a stashcord fit my particular headphones/earbuds? 2. 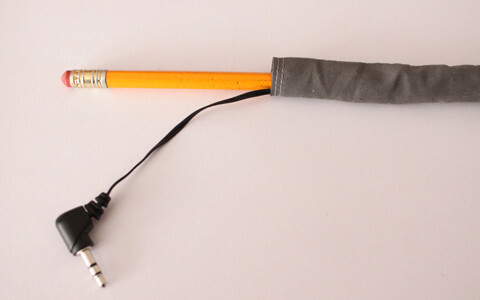 How do I get the headphone cord into my new stashcord? 3. My headphones have a bent jack, can I use a stashcord? 4. Can I wash my stashcord if it gets dirty? 5. Where are stashcords manufactured? 6. Where can I buy a stashcord? 8. How long will it take for me to get my stashcord? 9. Do you ship to locations outside the U.S.? 10. I love how little packaging there was with my new stashcord. You'll feed the headphones, starting at the "jack," into the stashcord at the end with the label. We find it's easiest if you hold the stashcord vertically at the label, and feed the jack in from the top until it pops out the other end. 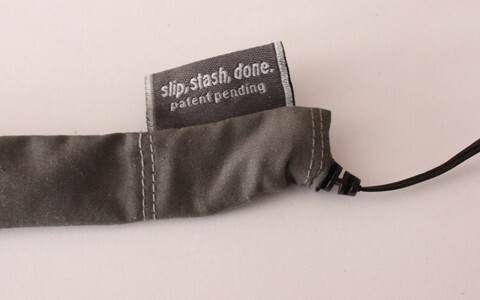 If your stashcord is creased at all, just straighten it out a little so the cord can pass through better. You can also see our instructions here for other tips. Yes. It takes slightly more time than a straight jack but it is possible. You'll need a pencil or pen handy then you can follow the steps below. Insert the tip of the jack as shown below. Work the sleeve around the jack. This is the most time consuming part and can take as long as a couple of minutes. It will be worth it in the end. Once it looks like the picture below it's time to get your pencil ready. 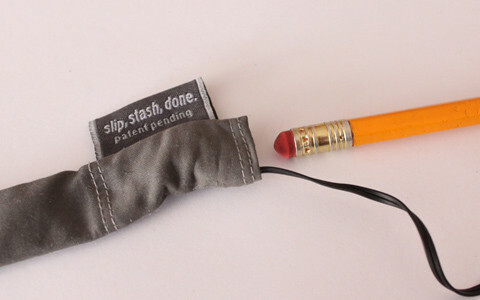 Using the eraser end of a pencil (or pen) push the jack through the sleeve. Once you get past the label area pushing is very easy. Bunch up the sleeve around the pencil and continue to push until the jack is completely free as shown below. This takes about 10-15 seconds. Don't forget to remove the pencil! Sure. Machine wash cold and air dry (or tumble dry low, but they dry pretty fast). Stashcords are made in the USA, right here in Chicago. 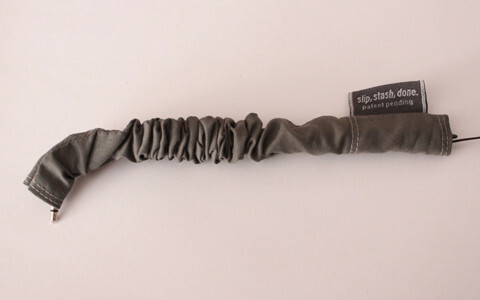 All stashcords are sold online exclusively at stashcord.com. A few colors can be found on Amazon. 8. I'm so excited... I can't wait! How long will it take for me to get my stashcord? Most orders ship next business day and then take two to three business days for delivery by USPS (in the U.S.). Yes, we do. Just select International Shipping at checkout. 10. I love how little packaging there was with my new stashcord (and that it's recyclable, too). Thanks. Ok, that's not a question, but we appreciate the spirit! We do try to make all of our decisions with an eye on the environmental effects. Thanks for noticing.